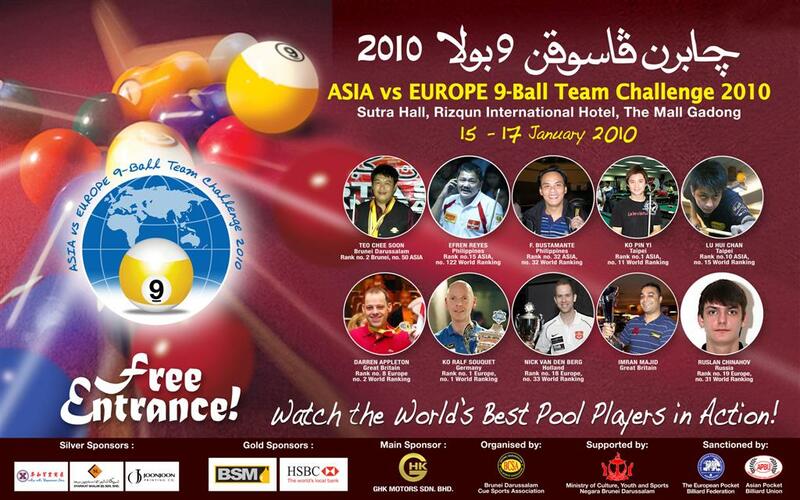 Asia vs Europe 9-ball Team Result -Asian Winner! WPA President: Mr. Ian Anderson: From the 30th January to the 7th February the inaugural WORLD TEAMS CHAMPIONSHIP 2010 event will take place in Hanover, Germany. With prize money of $400,000 on offer, it assures the very best players from all around the world will be competing. This event is supported and sanctioned by the WPA. I encourage everyone to go and see these great players in action, nothing is better to feel the tension and electric atmosphere than by seeing it live. For those who cannot attend, it will be live-streamed over the internet.